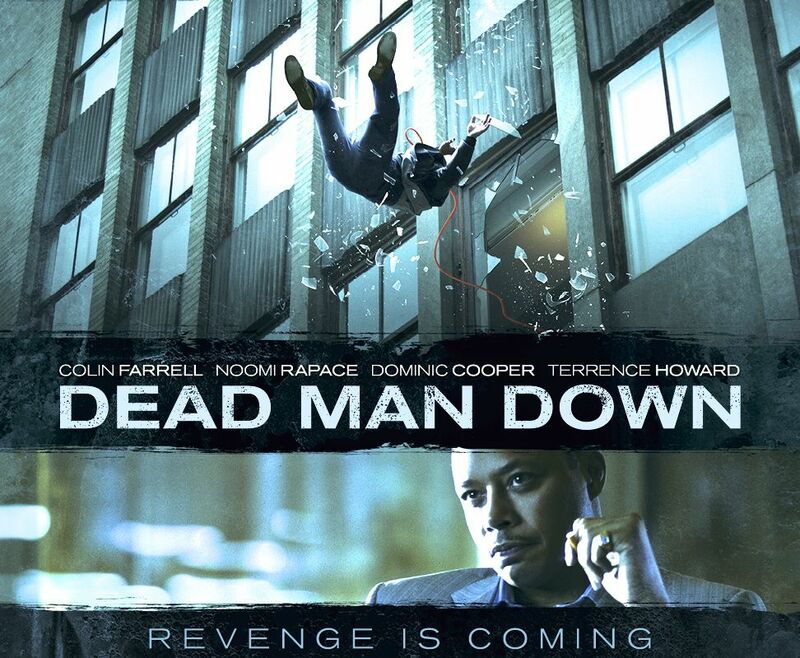 Noomi Rapace and director Niels Arden Oplev reunite after their collaboration on the original and very successful The Girl With The Dragon Tattoo (2009) for Hollywood crime drama Dead Man Down. This time they’ve brought Colin Farrell and Terrence Howard with them. Is there something different here or is it little more than another mindless action film? Victor (Colin Farrell) is a lonely thug living in New York. He spends his nights working as a henchman to drug kingpin Alphonse (Terrence Howard), who has recently become more paranoid than ever. Alphonse has been receiving death threats from an unknown assailant. These threats are becoming more and more frequent, until eventually one of his men is killed. Things are heating up and tensions are high. However, Victor has other things in mind – he may possibly know the one orchestrating it all. In the apartment building across from his lives Beatrice (Rapace), a beautiful yet damaged woman who is struggling to recover from a severe car accident. She lives with her desperate mother, Valentine (Isabelle Huppert) and is fascinated by Victor. She watches him wallow in loneliness, until one day when she decides to contact him and hopefully make some sort of connection. 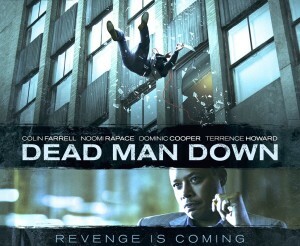 Dead Man Down does more wrong than it does right, but there’s still things to be commended. Firstly, Rapace’s character isn’t sexualised. Although she may not be the strongest female character, she’s still one that has some sort of dimension without having to shed a single item of clothing. Next Article The Fresh Prince of Graham Norton?